When Kamaru Usman defeated Rafael dos Anjos at The Ultimate Fighter 28 Finale last Friday night, he asserted himself as one of the uppermost contenders in the crowded UFC welterweight division. In fact, UFC President Dana White suggested Usman might have even surpassed Colby Covington and earned himself a title fight with long-time welterweight champ Tyron Woodley. 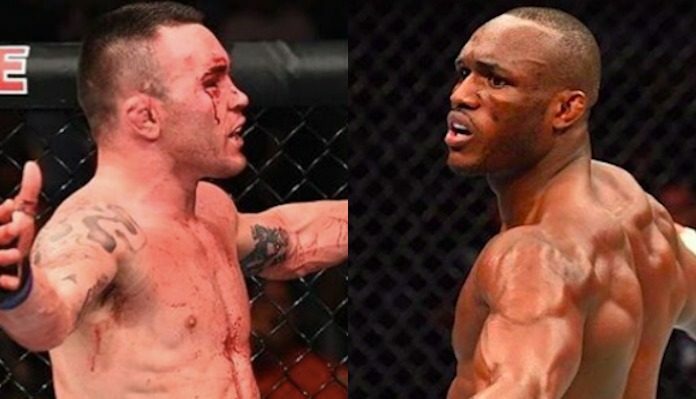 Interestingly, however, Kamaru Usman seems to relish the opportunity to settle his beef with Colby Covington even more than he wants to fight Woodley for the title. Like Kamaru Usman, Colby Covington is riding an impressive decision defeat of the former UFC lightweight champion Rafael dos Anjos. While he was expected to fight Tyron Woodley for the title this year, injuries have slowed the fruition of this fight. Do you want to see Kamaru Usman fight Colby Covington next?